Similar to how the censored Smash Mythra outfit has been added to Xenoblade Chronicles 2 and Xenoblade Chronicles 2: Torna – The Golden Country, a new Super Smash Bros. Ultimate tie-in has been revealed and this time, in concerns Pokémon. For those of you who have save data for Pokémon: Let’s Go, Pikachu! on your Nintendo Switch, from December 14, you will be able to get a Partner Pikachu spirit in Super Smash Bros. Ultimate. 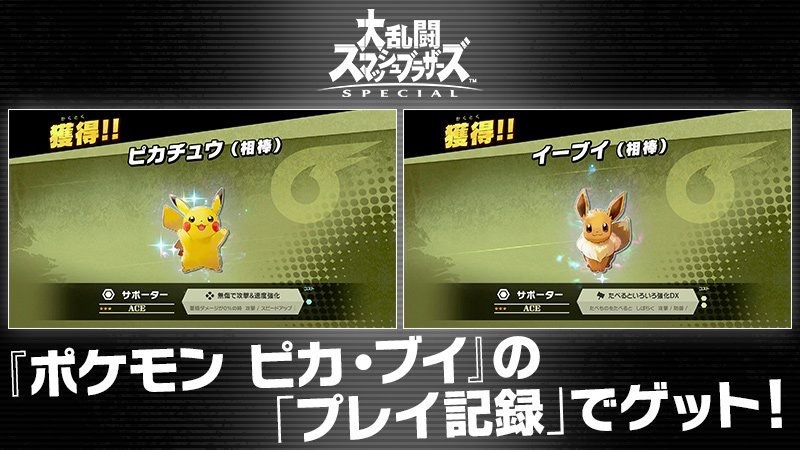 Whereas those who have save data for Pokémon: Let’s Go, Eevee!, will be able to get a Partner Eevee spirit. Categorised in: Distribution, DLC, News, Nintendo, Nintendo Switch, Nintendo Switch Online, Pokémon: Let’s Go, Pokemon, Super Smash Bros Ultimate, Super Smash Bros.